We have completed two full weeks of school now and I can honestly say that things are going very, very well. All of my students have personal learning devices with them each day which has created lots of new opportunities. It has also created a lot of small stumbling blocks that we have to work through each day. For example, what if my lesson plan is entirely based on using Google docs and the internet, but 3 students did not bring their devices? What if one student’s device all of a sudden starts flashing and the keyboard won’t work? What if a student has never used a Google product before and is unable to keep up with the students who have been using Google for two years? What if the document I labored over and scrutinized before posting to Google Classroom has settings that won’t allow students to edit it? These are little things that take time away from instruction every day. I’m not bothered by them. We are learning together as a class what works and what doesn’t work. I’ve had some fantastic days where we have used technology the entire time. I have had equally fantastic days where the Chromebooks stay in the backpacks. It’s a learning process, but I plan to try something new each week. 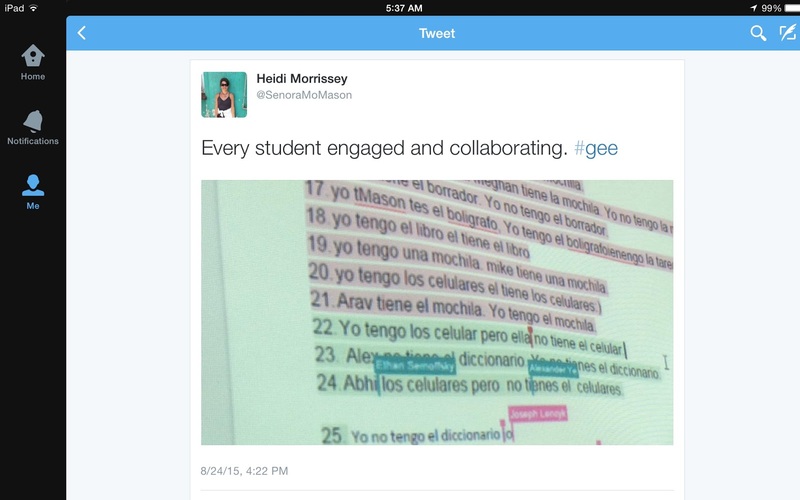 Students seem to enjoy using their devices to track assignments, write papers and share with others. However, there have been a few students who have asked if I could please just PUT IT IN WRITING ON A PIECE OF PAPER! I meet every student where he/she is so that is never a problem. 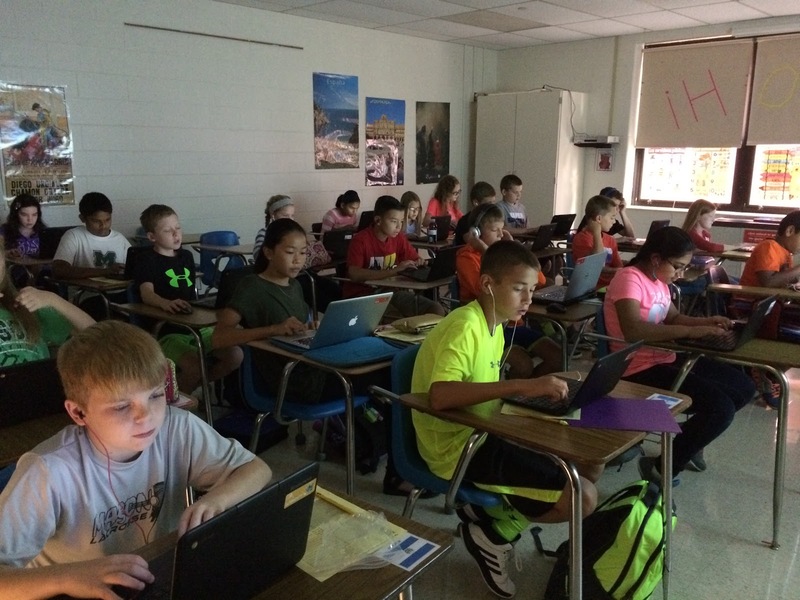 Each student is practicing vocabulary at his/her own pace using Quizlet. For me, this will be a year of much growth and re-structure. My current way of planning instruction now must include the question: Can I improve this lesson by using technology? Will the results be better? Will students learn more? Will the amount of time it takes to teach the technology be worth the results? I’m doing this constantly and am finding that I will make mistakes along the way. Fortunately, our students seems to already know that every thing you do with technology is a “PILOT” program. That’s the world we live in today. 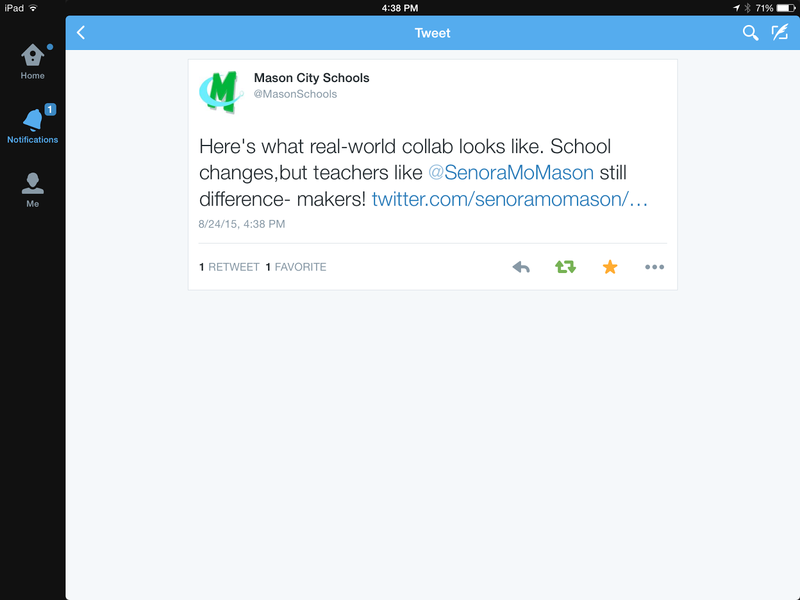 We even got a shout-out from our district for having a collaborative environment.